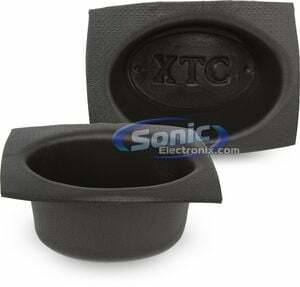 Protect your new speakers from moisture with a pair of XTC Foam Acoustic Speaker Baffles from Install Bay. Free with purchase of select speakers. Simply click the "Add Both to Cart" button. This offer cannot be combined with any other coupons or offers. Great fit, finish and functionality as expected by Alpine. 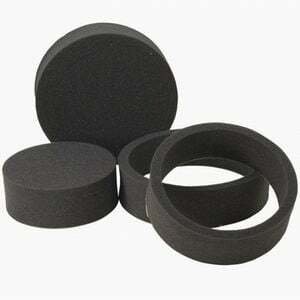 Bought these as a replacement speaker for the rear deck in my girlfriends 2005 Pontiac G6. More than pleased with the output and improved sound quality over the factory speakers. Really satisfied considering these are Alpine's entry level speakers. 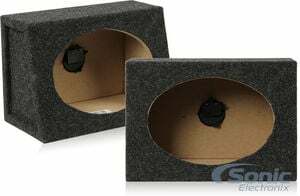 i bought these to replace my factory 6x9 and dang they sound great, I am using a 900W crunch and they sound great, great bass and high, you can't go wrong with these! Good sounding speaker, all around. Installed these speakers in my van. Great sounding at all ranges. Making my vacation travels enjoyable. I thoroughly enjoy the quality of these speakers. 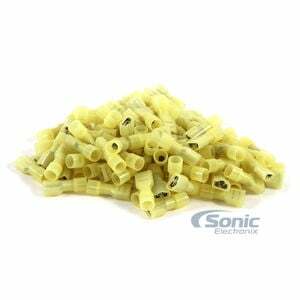 They produce a high quality sound, and economically speaking you cannot beat the deal that sonic offers. Nice clean hitting sound. 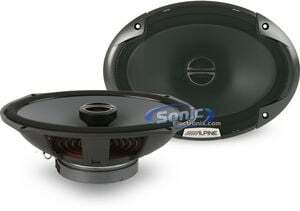 I chose these speakers to replace the OEM in my Dodge Caravan, first with a pair in the doors. This allowed me to fade front to rear and compare the new with the old. The OEM sounded sorta ok, but they didn't pull me into the music. Actually my attention tended to drift off into my own thoughts. The experience through the Alpine SPE-6090 was just the opposite. I become engaged in the flow of the music. There is good balance in the frequency response and much detail that I wasn't getting through the original speakers. I'm really pleased. So pleased that I also replaced the OEM in the rear side panels with the same Alpines. Perhaps this review will take on more meaning if I tell something of myself. I have sung in symphony choruses for much of my life. This places me in close proximity to instruments played in a concert setting. These Alpine speakers do a good job of getting the tonal colors right. When listening to symphonic music I can always tell which of the various instruments are performing, sorting out the oboe and the English horn, for example. Are these good rock speakers? Look to others for advice there. But I like these for classical, jazz and folk. After six months experience I'm very satisfied with my choice of these Alpine speakers. As for the five star rating system. My rating is based on my satisfaction, not on any comparison to other speakers that are available. I haven't heard them. Hooked these up to stock deck in Honda. There is bass and good highs now before I couldn't even hear anything from back there, now they almost over power the fronts! Great buy would do it again. These speaks are great. I got these for my senior lounge at high school. Two of them in sonic's enclosures fill the room with sound. Bass response is awesome, vibrant and loud. the treble is very accurate and clear. Don't really like the plastic baskets tho it makes them loose integrity. I purchased these speakers after reading great reviews on SE. 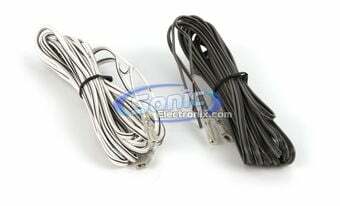 I installed these in my impala powered by a 2ch Eclipse amp(70RMSx2 @ 4ohms) and I, nor anyone else who I let hear these can come to realization that I only have one set of 6x9's! These speakers sound beyond incredible for the price! I wish I had room for more because I would order another set ASAP!! The BASS,MIDS, and HIGHS that these speakers produce is simply JAW DROPPING!! Everytime I start my car and turn the radio on I SMILE so hard because I still cant believe it!! You will not regret buying these ALPINE 6x9's!! 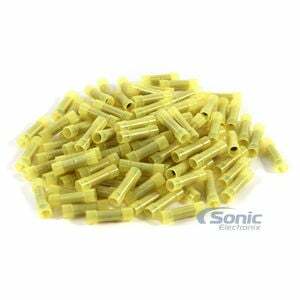 Thanks Sonic Electronix, you are my HERO! What's even better is Kicker didn't have the nice clips on the terminals and these do, all you have to do if you amp them is slip on the clips and connect the other side to the amp and your done. Alright, im going to shoot this straight because i like to have my music loud and i like it to bump. the bass on these leaves some to be desired. not up to par with what alpine should be putting out. and after a few weeks of playing these loud enough to get good solid bass out of them with my expensive headunit, these were all but blown, within the first few days they started to rattle and were not sounding great. bottom line if you want some powerful alpines to deliver that hear it outside the car bass bump, dont get these, buy the more top of the line alpines. 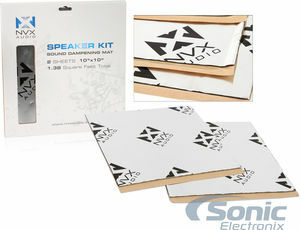 Im not a speaker expert, but i have bought a lot of small speakers over the years. 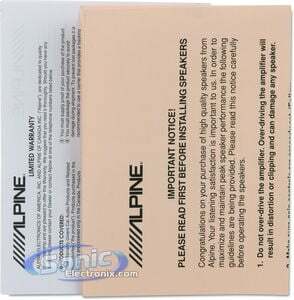 I personally find that you can't ever go wrong with alpine products. Crisp & Clear sound that does not break up if installed correctly. I purchased these speakers for my stock Alpine sterio 4X50 watts per channel and they sound Awesome. Price was very reasonable worth every penny. Shipping was free & fast! Heard these at Best Buy and found a better deal with Sonic. Great sounding 6x9. I was pleasantly surprised. Great price as well. Great speaker for your money! 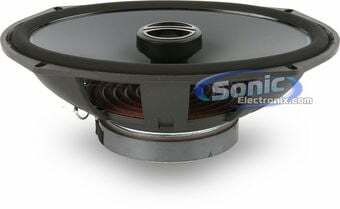 I purchased these speakers from Sonic several years ago for my 07 Dodge Truck. 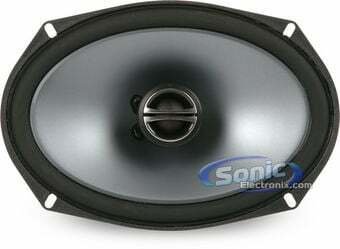 Not only will they reproduce lower frequencies (80 hertz easily), the mid range and highs are very good. I am powering these with a Precision Power P900.4 (145 W @ 4ohm) and I have been very happy....for several years. I have run them hard at times, near 7 amps and 95 watts and they perform without fail. Seems they are under rated as they can handle more power very well. 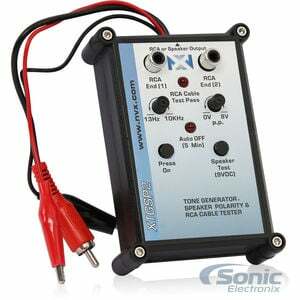 I have digital voltage/ amperage meters installed in my truck as well as a DC meter that measures through the clamp. Both are very close to one another. I bought these speakers for real fill in my 2016 Ram 1500 regular cab. 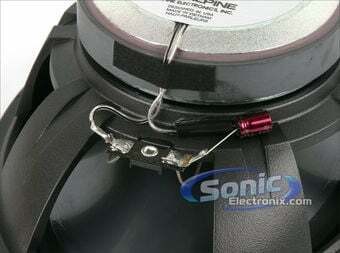 The silk dome tweeter sounds nice and smooth without any harshness. In this price range I couldn’t imagine finding a better pair of 6x9s. Sound great. A big improvement over the OE ones that came with truck. 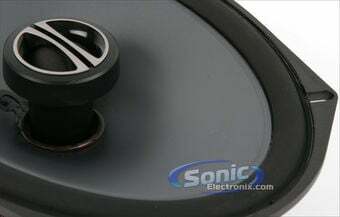 This the 2nd set of this speaker I have bought for a 2nd car, just a year newer. 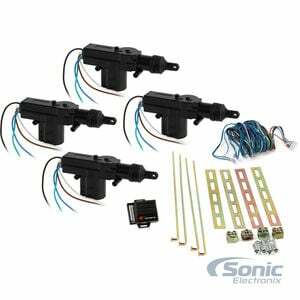 They are installed in the rear window facing straight up in a 2002 Buick Park Avenue Ultra. This big boat of a car has 7 drivers OE. There's a dash mounted sub, 4 door mounted upper mid's and the 2 rear deck mounted low mid's where I put the SPE-6090'S. 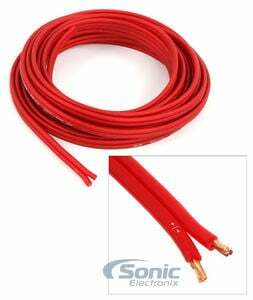 I used them because they match the impedance and shape of the vehicle and they are a a brand I have always trusted and used. Turns out they are great for the application. No problems, can be run loud or soft. They are clear and pure. I'd use Sonic again. 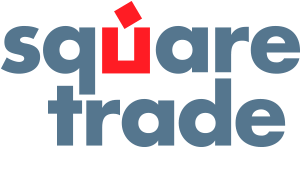 Immediate delivery, always a good price, major brand products. 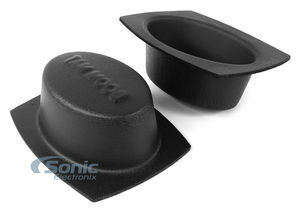 My stock 6x9" front door speakers in my 2002 Jeep Grand Cherokee were blown, and it's hard to find aftermarket replacements that will fit because of how close the factory speakers sit to the grilles. 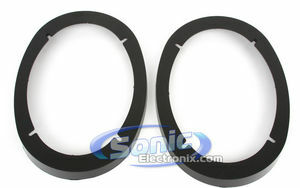 The SPE-6090 was one of the speakers that would fit, so I purchased a pair. What an improvement over my stock speakers! They still sound great even when paired with the stock speakers in the dash and rear doors of my Jeep, as well as my aftermarket in-dash receiver. 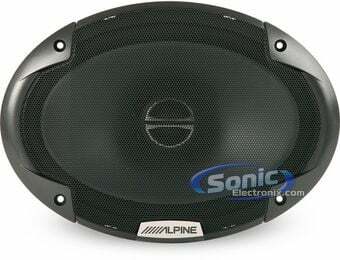 For the price, you can't beat the Alpine quality and they sound great! Not bad for the price, can really tell the difference from the factory speakers wish I would have went with the 3way though. These speakers are pretty good, good sound overall. Definitely not the best but I would recommend for the price. Easy installation. 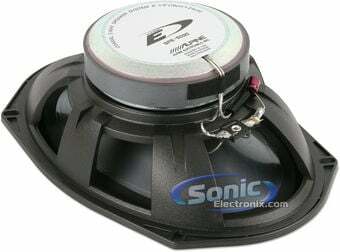 I would recommend these speakers to anybody looking to replace a set of old factory speakers. They perform well have good high and mids, and when asked have tons of bass. 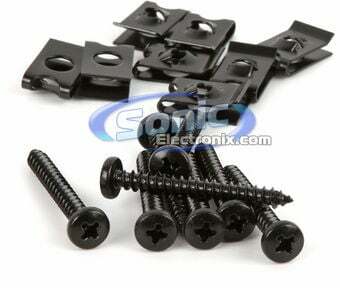 I was running these off of a old JVC head unit no amps so 18 watts of RMS and 50 watts max. With the base up my old 93 dakota would shake. Many people thought I had subs in that old girl. Have never been let down or disappointed in two years. Speakers too deep for your installation location? 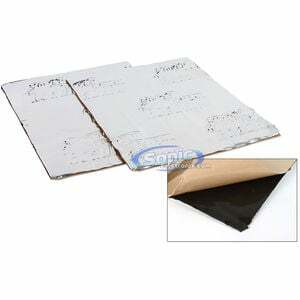 Add an extra inch of space with these depth extenders. Compresses and forms to the shape of most installations and reduces panel vibrations. 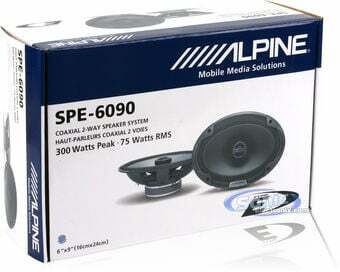 View all available accessories for the Alpine SPE-6090.